Bengaluru, being the hub of thousands of corporate companies, has always had requirements for healthier and the right kind of food to satisfy the taste buds of individuals. Although there have been many newer food courts and restaurants in IT Parks and outside, emerging almost every now and then, not all requirements are satisfied; especially the wait in the long queues at most places that provide good food, result in consuming almost double the time of employees, which would otherwise be used to more productive purposes certainly. Imagine an additional 30 minutes of an employee goes into waiting, then, in 22 working days of the month, 660 minutes are lost; within a year, this leads to the loss of 7920 minutes of a single person, which simply goes in waiting at restaurants. If the same time could be used for some additional activity that could atleast help regain the momentum of each of the employees, this can certainly result in a better growth of the company, in turn resulting in the increment in every employee's income. Apart from just the time loss, there's also a great requirement for healthy food. Most sick leaves of any employee are the result of unhealthy or unhygienic food that they would have consumed. There are loads of efforts being made to be able to satisfy the tastebuds of corporate working community, and to help every employee save energy and time that goes in waiting for tasty and healthy food. There has always been a dearth for the right solution, which now looks to meet an end, with the start of the 'Corporate Khana' brand, a unit of NJ Foods founded by Bangalore-based entrepreneur, Nirmal Jain, who has vast experience in the industry for over 5 years. Corporate Khana, in the last 16 months, has served some of the prominent companies of the Bangalore city, including ACT Broadband, APTEAN Ltd, Gyan Matrix and quite a few others. It has turned out to be a quality welcome service, in fact, almost a blessing in disguise, for most of these companies in terms of saving plenty of time, providing way healthier food and helping preserve the energy of employees who would earlier move out of offices in search of the good food and see their lunch times become longer breaks from work and mostly breaks in the flow of work itself leading to lowered productivity levels. Due to high demand of Indian home food among corporate working community in Bangalore, the culinary team at Corporate Khana is specialised in mostly North Indian and South Indian dishes. But, every now & then a welcome change in style of food is always a look out and this is an aspect that CK doesn’t seem to have missed noticing and they have worked hard to have specialised themselves with line up of items on Italian and Chinese menus preferred here in Bangalore. From breakfast menus to great lunches & quality snacks and superb filling dinners, they serve them all! In fact most notably, they are a premium vegetarian catering brand. They have already flexed their muscles to be able to provide variety in terms of styles of service demanded by the companies. 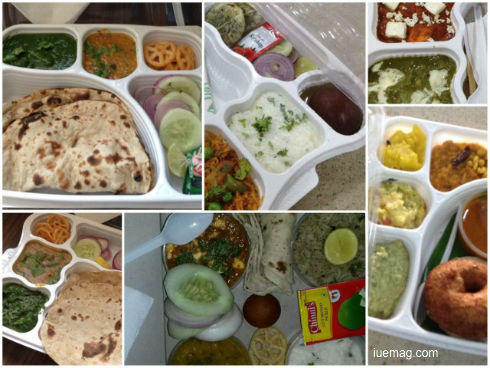 While some prefer bulk meal orders, others demand a counter to be set up and few others prefer the lovely packaged meal boxes of Corporate Khana. They seem to have catered to all varieties of demands too soon and quite well too. With high positive reviews from most employee groups with respect to the great taste they are able to maintain despite logistical challenges on a day to day basis, they are surely in for a big success in the silicon valley of India. 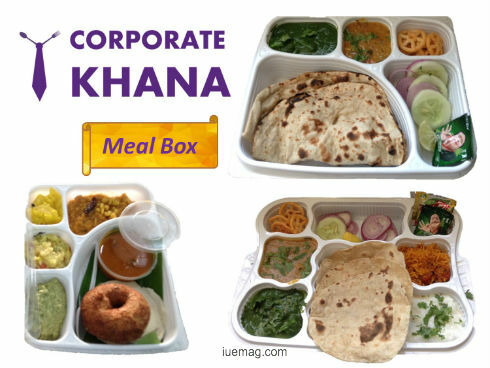 The team at Corporate Khana has also had hands on experience of serving to hundreds of thousands of people(at more than 500 events as they claim) while catering for weddings, events, parties and annual meetings of companies. The challenges for them to scale of course stare in their eye, but they are backed up with the vision and energy and seem to be tirelessly working towards achieving their goal of providing great food to every working individual and keeping the worries of their families back home about feeding them at bay. The brand has become a gift to the current situation in the Bangalore corporate community due to the requirement of variety of food, apart from just tasty and healthy options. 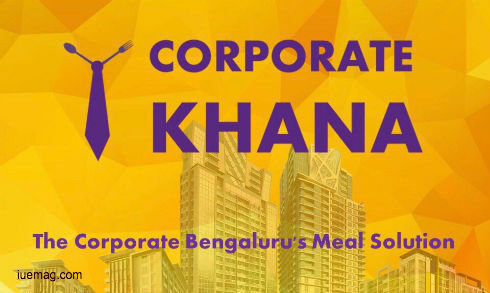 If you're from a Bangalore-based company or if you know someone from Bangalore, you are sure to miss one of the best experiences if you haven't yet ordered for a meal from Corporate Khana! Get in touch with them. Drop a line in comments and you can be sure their tech-savvy team is on the crawl here.